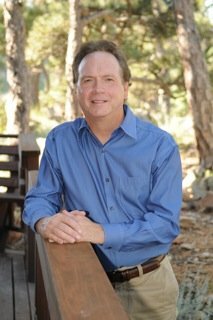 Our director, Dr. Alan Wolfelt, is a respected grief counselor, educator, and author. He founded the Center for Loss in 1984 to offer education and support both to grievers and bereavement caregivers. He is known around the world for his compassionate messages of hope and healing as well as his companioning philosophy of grief care. 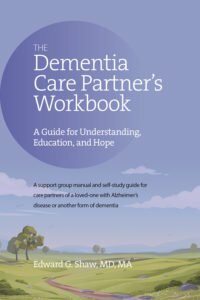 Dr. Wolfelt speaks on grief-related topics, offers trainings for caregivers, and has written many bestselling books and other resources on grief for both caregivers and grieving people. 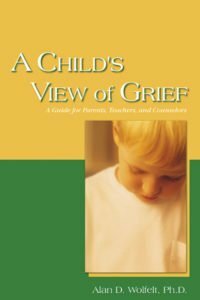 Explore Dr. Wolfelt’s books and other materials on grief and loss. 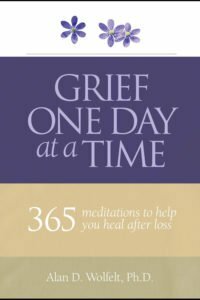 Learn about the fundamentals of grief and mourning. Although grief is painful, it is also normal and necessary. Love and grief go hand-in-hand. 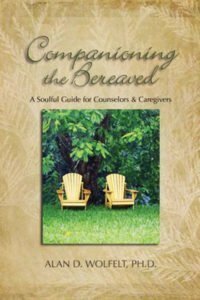 Come learn how to “companion” people in grief from renowned educator Dr. Alan Wolfelt. Dr. Wolfelt speaks on grief and loss all across North America. Check our calendar for upcoming events. 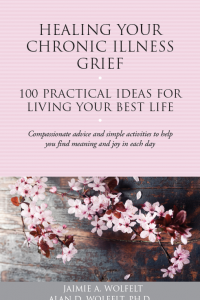 Dr. Wolfelt has written dozens of books on many aspects of grief and loss. Browse our bookstore! The article, "The Grief and Mourning of Cancer" by Dr. Wolfelt appears in the March/April 2019 edition of Coping with Cancer. Find the PDF here. The magazine website can be found here.